Disclaimer: I am not a medical professional nor a certified fitness instructor. This is solely information to help you know some of your fitness options while on vacation. As always, please consult your doctor before beginning any type of workout plan. 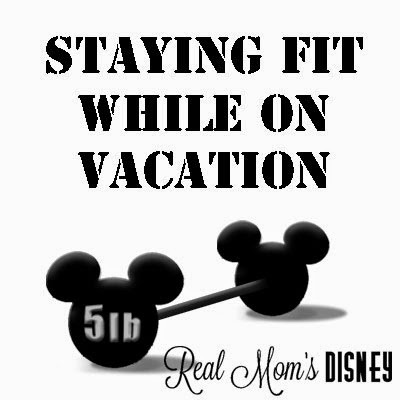 Continuing our topic this week on staying healthy at Disney World, let’s talk about fitness. Fitness is something that is extremely important to me. It’s something that is a part of my everyday life at home, so keeping up with a fitness routine when I’m on vacation makes sense for me. What about all of the walking you already do in the parks? Doesn’t that count for exercise? Of course it does. However, for me, walking alone doesn’t build/keep the strength that I want for other muscle groups. Believe it or not, it doesn’t take long for muscles to begin to lose strength. We have to work so hard to gain that strength; I don’t want to do anything to lose it. On any given day, running/jogging is a part of my routine. Running is my therapy. I typically run anywhere from 3-5 days per week, depending on if I’m training for something specific or not. Our last trip to Disney I was training for a half marathon. It was important to keep up with my training schedule. Here are my tips for running/jogging at Disney. Make sure to schedule in time to run/jog. It’s very easy while you are at Disney to run out of time each day. There is just so much to do! If fitting in a run/jog while you are there is important, you are most likely going to have to build it into your schedule. Research areas to run before you go. Pick a few different trails that appeal to you and your schedule. Here is a list of the trails at Disney. You can also pick up this information at the front desk of your resort. If you don’t want to visit a trail, run around your resort! Check the weather. Orlando can be a very hot, humid place. Try to fit in your run as early as you can. Running later in the evening might be a little cooler as well, but if you’ve been at the parks all day, your legs might be a little fatigued from all of the walking. Adjust your mileage as necessary. If your legs are tired, give yourself a break. This is something I have to remind myself every trip. I feel like if I don’t do the exact mileage on my schedule, I’m cheating. That’s not true! Listen to your body and make those adjustments as you need them. Stay hydrated! Just like I said above, it can get so humid in Orlando, especially in the summer months. Drink plenty of water before, during, and after your run! Be cautious around traffic. Traffic can be cars in the parking lot, golf carts taking guests to their room, guests hauling their luggage to their rooms, and so many more. Be aware of your surroundings. You don’t want an injury that could have been avoided. Strength training is also a big part of my daily fitness routine. I tend to strength train anywhere from 3-4 days per week. I mainly do this in a class setting at my gym, but there are times where I do it at home as well. Here are my tips for strength training while at Disney. Many Disney’s resorts have fitness centers. If your resort has one, make good use of it. This one may seem silly, but it works. 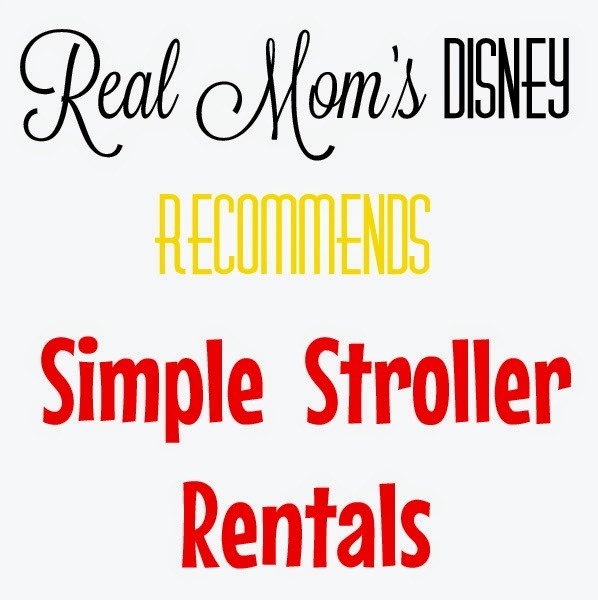 Take a turn pushing the stroller or designate yourself as the official stroller pusher of the family. There are several areas with small inclines. You can get a good arm workout just by pushing! Pinterest! You can look up all kinds of strength training exercises on Pinterest and other websites. Most of these can be done in your room with nothing but your body weight. This is my go-to while I’m at Disney. I pin a bunch of workouts before we go (I may or may not try them out before we leave. It just depends on how much time we have.) and pull them up on the laptop or iPad when it’s time to work out. Stream workouts. There are several websites that have free workouts. YouTube is a good resource. If you have a specific workout type, research before you go. There might be some sort of online site you can join. I’m a member to a couple of them. If my Pinterest workouts aren’t cutting it, or I just need something a little more specific, I always turn to this. Fitness is important to me, but I always try to remember this important thing: Don’t let my fitness routine takeover my vacation. It’s easy to worry and stress about when I’m going to do this and when I’m going to do that. I try to have a plan in place for those things, but if something happens and I don’t get a run or a workout in, so be it. I’m on vacation with my family and it’s okay. I don’t beat myself up over it. What do you do for a fitness routine at Disney? Do you take the week off or just cut back? I always love to hear other people’s tips on fitness while traveling. Leave your tips in the comments!